Type: BOOKS. Detail: Pein, M. Product Code: 09646221-12. Category: MAGAZINES. Publisher: Chess & Bridge. 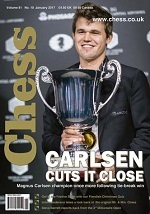 For more information from the manufacturer please visit www.chesscenter.com.